Be our guest and see history come alive in our historic one room country school. The Oak Grove No. 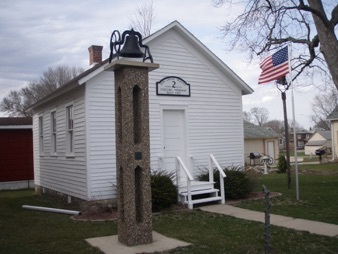 2 school was built in 1895. 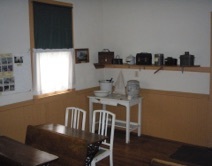 It was situated 3 miles north of Cascade and provided education for the farm children who lived within the district. Enrollment was usually from 8 to 12 pupils and included grades 1 through 8. The teacher was responsible for the comfort and welfare of the pupils. That included lighting the fire in the stove, keeping the room clean, seeing that water was brought from a close neighbor’s pump and supervising the playground. 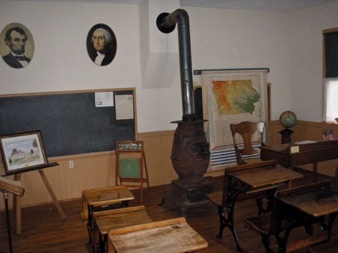 When you visit, you will see the original desks, map case, water bucket and dipper, lunch buckets, the “library” , and all country school amenities that were so necessary back in 1895.